Whether you live in or rent out your condo, you want to protect it as well as the contents within. While there are several condominium insurances out there, you want the best of them all. This is exactly what RSA offers. With RSA condominium insurance, you can protect your condo and your properties against damage and several kinds of dangers. RSA offers basically two insurance products for condo owners. If you own a unit in a condo, you will appreciate each of these plans. The RSA platinum plus for condominium is designed to offer coverage for condo owners with higher than an average content requirement (more than $75,000). RSA also offers a comprehensive plan which provides coverage for condo units with average content limits ($30,000 and above). Each of the products in RSA condo insurance includes key features such as unit improvements as well as betterment coverage for improvements made to the unit. 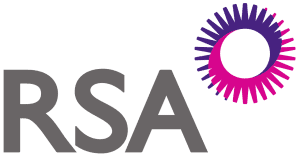 Additional coverage includes loss assessment coverage, as well as AIR MILES reward mile and the hassle-free claims service available in all RSA products. RSA offers two insurance products in their condo insurance. These include platinum plus and comprehensive. RSA condominium platinum plus plan provides coverage for condo owners whose content requirements are higher than average, more than $75,000. This coverage is for clients with prior insurance and is free from claims for at least 3 years. Comprehensive provides coverage for condo units whose average content limits are $30,000 and above. It also includes a standard complement of furnishings. Each of the products in RSA condo insurance includes key features such as unit improvements as well as betterment coverage for improvements made to the unit; it also includes loss assessment coverage. Ask your Broker about Condominium Insurance Rates and Compare!